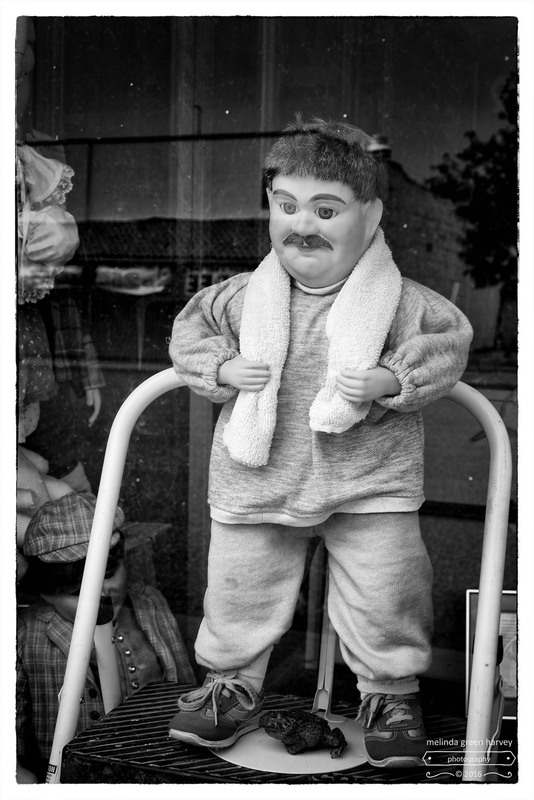 Posted on September 30, 2016, in Photography and tagged 365 photo project, black and white photography, colorado chautauqua, Leica, melinda green harvey, monochrome, one day one image, Ordway, Ordway Colorado, photo a day, photography, postaday, window displays, wtf. Bookmark the permalink. 9 Comments. What’s really creepy is that those things walk around at night (and perhaps during the day when you’re not looking, too, I imagine)… They only pose when you’re looking at them. Well, now that you mention it, I did think I caught some movement out of the corner of my eye as I was walking away….. Yes, but I’m thinking I don’t want to find out…! Sometimes that the very best option. Other times, it’s the ONLY option. This is one of those things where it’s probably better to say, “Okaaaaay.” and move along!